Sorry No Older Puppies At This Time, Please Check Back Again. 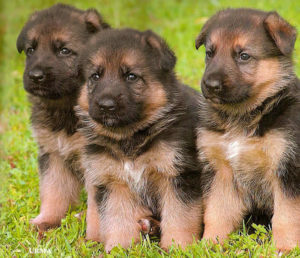 Our Black and Red German Shepherd Puppies make wonderful family companions and have outstanding temperaments, they are correct in structure. We breed using imported German Shepherds that are Schutzhund titled, V rated and KoerKlassed. Our German Shepherd Puppies are AKC registerd. We take great pride in being German Shepherd Breeders. As a Breeder we are very particular with our breeding stock. Our Puppies come with a written guarantee.